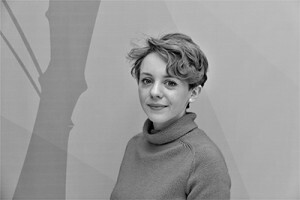 Charlotte King studied MSc Global Energy and Climate Policy at SOAS University of London. She now works for the International Bamboo and Rattan Organisation in Beijing. There can be few people better placed to talk about bamboo. The International Bamboo and Rattan Organisation (INBAR) is an intergovernmental organisation which encourages the use of bamboo and rattan for sustainable development. We are a network of over 40 member states, almost all of which are bamboo-producing countries in the Global South. We are based in China, the ‘kingdom of bamboo’, and work to help our member states realise the full potential of bamboo and rattan for climate change mitigation, poverty alleviation and sustainable construction. We also try and raise the profile of these plants at an international level, and make them a part of initiatives like the Paris Agreement on climate change, the Bonn Challenge for reforestation and the UN Sustainable Development Goals. For an organisation of around 50 people, it’s a lot of work! What is your role at INBAR? I am part of the communications team at INBAR. My role involves coordinating our new research and project publications, and ensuring these are read and understood by the largest number of people. A lot of our work involves trying to put ‘South-South cooperation’ into practice: helping our member states benefit from each other’s experiences. For example, we recently helped to transfer a particularly resilient kind of bamboo housing from our member states in Colombia, Ecuador and Peru to Nepal, where it is being used to rebuild schools after the recent earthquake. 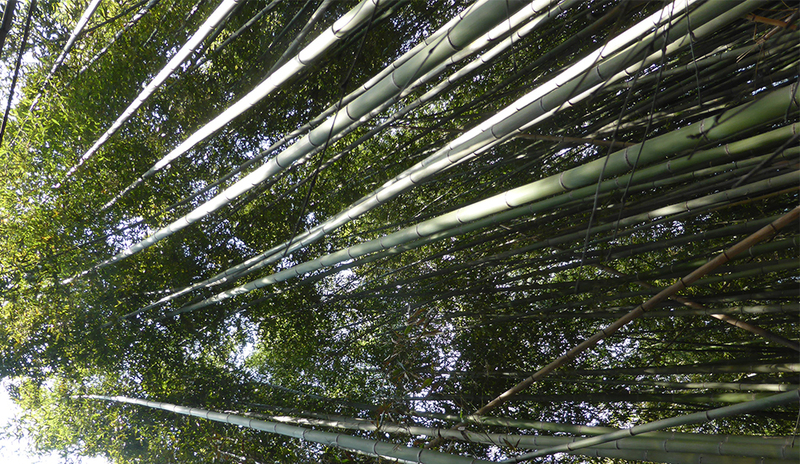 What makes bamboo such a special plant? Approximately 10,000 things! That’s how many uses bamboo has – we counted. In short, people have been using bamboo for thousands of years as a source of food, housing, charcoal and handicrafts. And more recently, we have seen engineered bamboo products create a growing international market in developed countries. After all, bamboo is fast growing, does not need replanting, and has the same properties as hardwood, meaning it can be used as a low-carbon alternative to materials such as cement, steel and timber. Importantly, bamboo also grows locally to some of the poorest communities in the world. There are over 30 million hectares of bamboo growing across the tropics and subtropics! INBAR’s mission is to help developing countries benefit from these plants. One surprising aspect of bamboo is its huge role in environmental protection. Because of its extensive underground roots system, bamboo can bind soil, prevent water run-off and restore even the most degraded lands. And according to recent INBAR research, Chinese ‘Moso’ bamboo stores carbon at a faster rate than several species of tree – making it part of the government’s climate change mitigation strategy. So, it’s more than just panda food? People in different countries associate bamboo with very different things. Here in China, where INBAR is based, people think of pandas… In other parts of the world, people may think of furniture, or food, or boats, or houses. In the UK, I think people are more familiar with bamboo than we realise. Bamboo socks, chopping boards, flooring and furniture – a lot more products are appearing on shelves. The more that bamboo-producing countries know about international markets and standards for bamboo products, the more they can benefit from this trade. After all, China’s bamboo sector is valued at some USD 30 billion per year – that’s huge! There is clearly a lot of potential for other countries to create jobs and alleviate poverty using bamboo. How is INBAR involved with local projects? Chishui, in Guizhou Province, is one of China’s most famous hometowns of bamboo, with almost 100,000 hectares of bamboo forest. A lot of Chishui residents are very poor, and a large number have to emigrate to find work. INBAR has worked with the local government in Chishui on a number of projects, to help farmers manage local bamboo more productively and find new uses for the plant. Within six months of one project, farmers were earning more money from selling bamboo shoots, and the local government had committed to mobilizing more resources for bamboo afforestation. Amazingly, within a few years, 40 per cent of migrant workers in nearby Guangdong were returning home to Chishui – three quarters of them are now involved in the bamboo sector. What I particularly love about the Chishui example is how home-grown bamboo enterprises can help women. We see this in our member states across the world – women use bamboo because it is easy to collect and process, can be grown in your garden, and can be used to make a lot of products with no special machinery or set-up costs. One woman in Chishui, Mrs. Lu Huaying, started off making small carved bamboo handicrafts, and now runs an enterprise worth some RMB 2 million a year! What first got you interested in environmental issues? Climate Changed – a graphic novel by Philippe Squarzoni. A beautifully researched book. How did the course at SOAS help you to get to where you are today? My MSc Global Energy and Climate Policy (2014-15) made all the difference to my career. 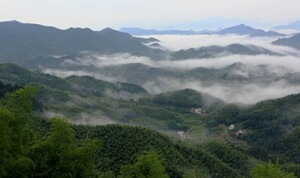 Without it, I would have found it difficult to work in the environmental sector, and almost impossible to work in China. The course was very broad, meaning I could take classes from other disciplines and expand my interests. Being able to attend classes in the evening also meant that I could commute from the city where I worked. Most importantly, I made a huge network of friends from across the world, whose work continues to broaden my horizons. Communicating ideas in a way that changes people’s minds. A lot of excellent environmental research and project work never reaches the right audience, meaning people cannot learn from each other and end up repeating the same mistakes. Two of my favourite organisations in the UK are Climate Outreach and BBC Media Action – they specialise in explaining complicated subjects in a very engaging way for different audiences. To become fluent in Mandarin; to work with a project from start to finish and learn from it; to reduce my carbon footprint. Are you optimistic or pessimistic about the environmental outlook for the planet? Until individuals realise that we are at the heart of the problem, we’ll never make effective change. So yes, probably a pessimist. That said, I’ve met so many committed people in my work. I hope the work I do can make a difference. Bamboo is one of the fastest growing plants in the world. Certain species of bamboo can grow at a rate of almost one metre per day, or one millimetre every 90 seconds.